« Keep Calm & Party On! Sunday, December 2 was a great day to be a Fashion Rewards member at the Menlo Park Nordstrom. 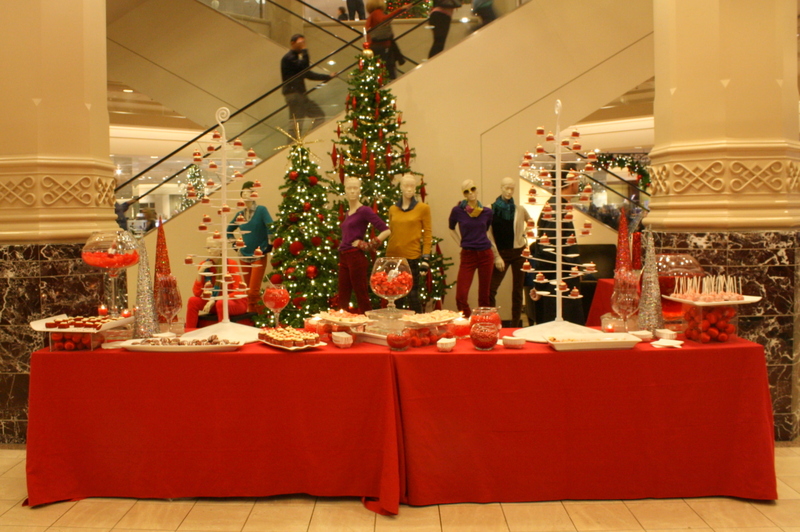 We catered a private holiday shopping party for the lucky shoppers. As soon as the shoppers walked in the store, we greeted them with our signature holiday desserts, champagne and sparkling water. As they shopped we passed desserts and more champagne. We also had a red velvet station and a cheesecake station set-up for the guests to indulge in.